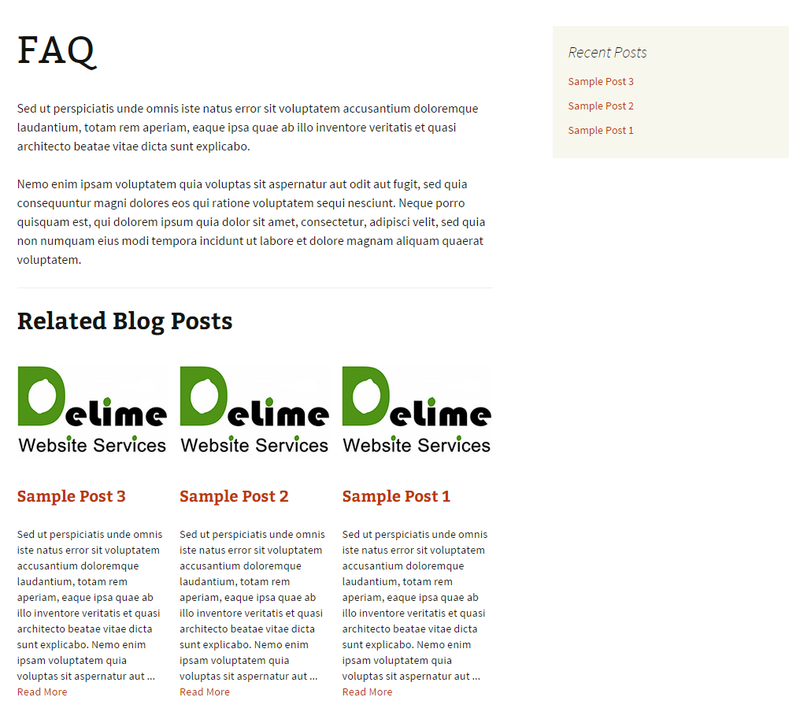 Related Posts on Pages displays recent or random posts from a designated post category at the bottom of each selected page in a responsive layout. 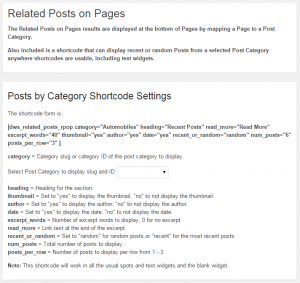 This plugin displays recent or random posts from a designated post category at the bottom of each selected page in a responsive layout. 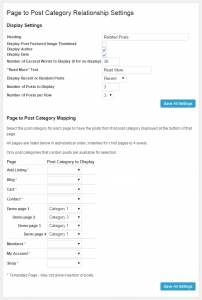 You can designate a post category for each page you want posts displayed for. 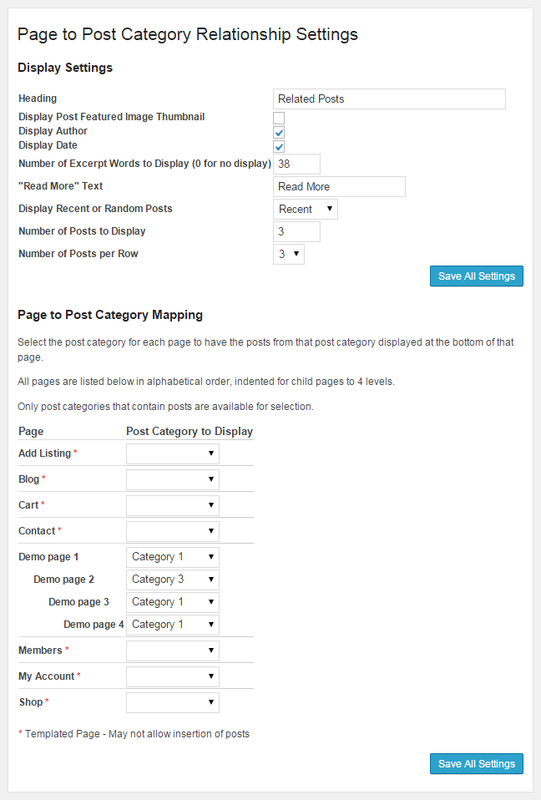 Differing from other related post plugins, this one let’s you select which category of posts to display on each page, rather than using a default matching algorithm. Install the plugin and activate it. 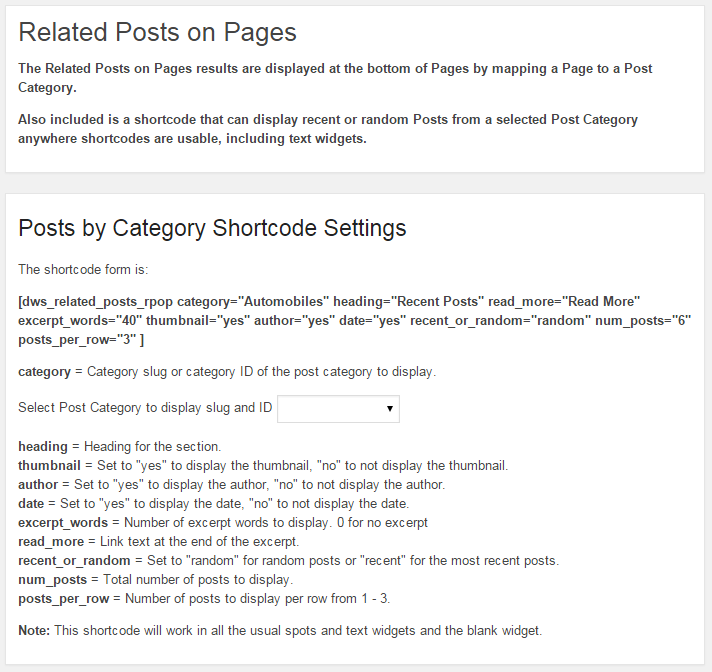 There are settings in the Pages -> Posts on Pages area.